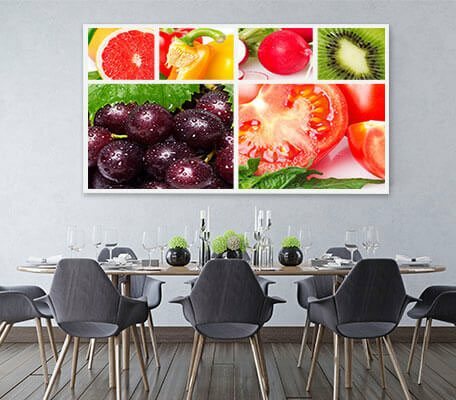 Made using the finest-quality material and available in a ready-to-hang form, our collage canvas prints offer you a unique way to combine a variety of your favorite photos and display them anywhere in your home. 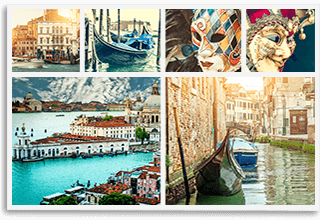 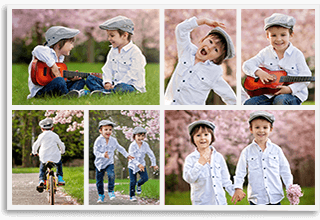 Create your own wall art with our personalized collage canvas prints that are great for printing 2 to 36 photos on a strikingly vibrant and high-quality canvas. 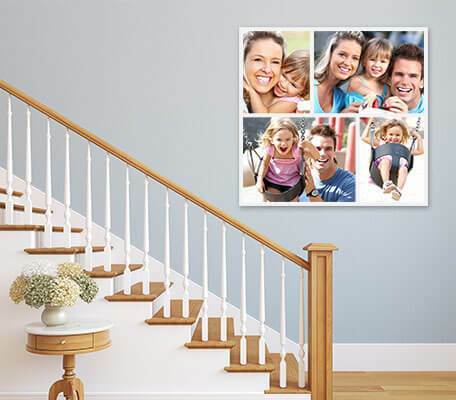 Proof so that you can ensure that your canvas prints are just the way you want. 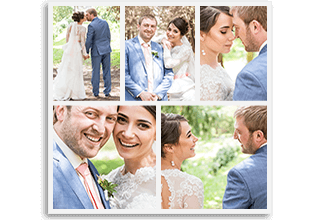 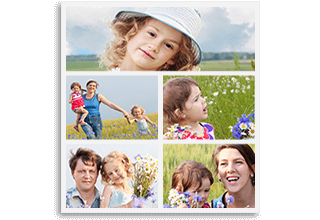 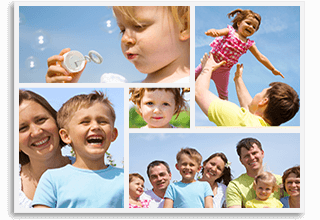 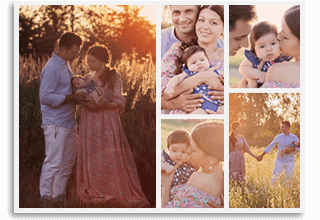 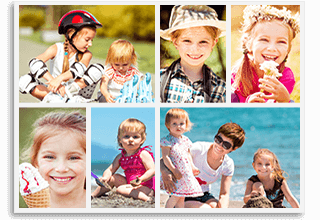 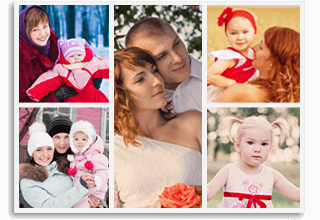 Your canvas photo collage is then packaged and delivered to your doorstep in a safe and swift manner. 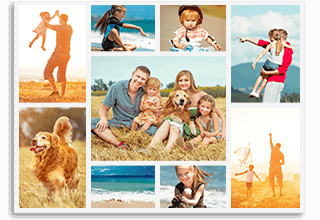 Xpectations to design a truly personalized collage canvas print that features vibrant colors, supersmooth finish, and a robust frame that will protect your beautiful memories for years. 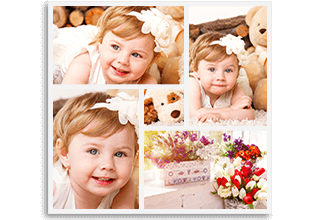 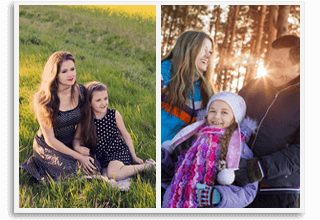 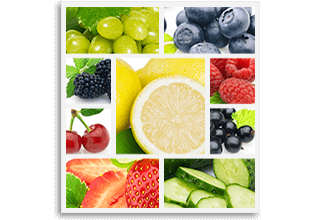 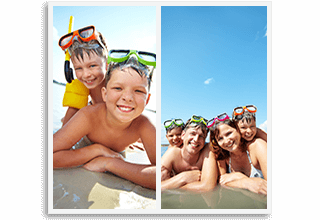 With our amazing photo effects and image retouching expertise, we will enhance the quality and colors of your favorite photographs and turn them into an amazing piece of art. 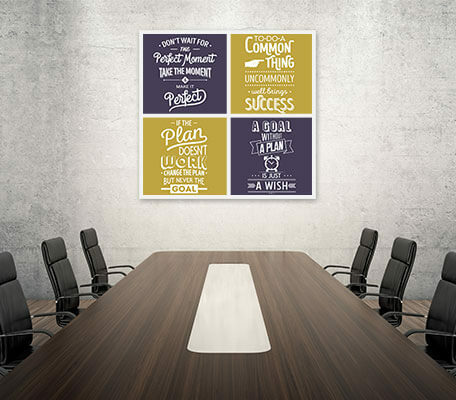 Equally suitable for home and office, our collage canvas prints can instantly accentuate the look and feel of just about any room. 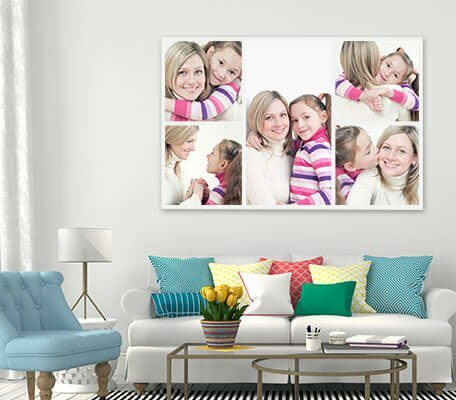 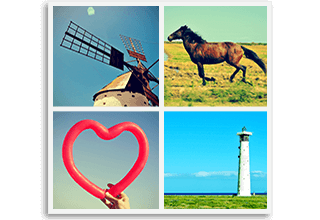 Whether you are looking for office art or want to make your own photo collage canvas to display in the living room, you will find the picture-perfect solution at Great Canvas Prints.